Over the weekend, Missoula runners got out along the Continental Divide Trail and in Glacier National Park. And closer to home, a run at Montana Snowbowl was slowed by numerous downed trees. Chad Strickland, Erin Clark, Ross Carlson, Seth Boid and Sally Cannata ran 13.5 miles of the CDT east of Lincoln on Saturday. The route from Flesher Pass north to Rogers Pass "featured an initial ascent through lichen-cloaked forest and then emerged out onto windswept plateaus above classic Front reef geologic features," Erin wrote. Along the way, they found wildflowers at their peak - including alpine forget-me-nots, silky phacelia and campion - and no other trail users. 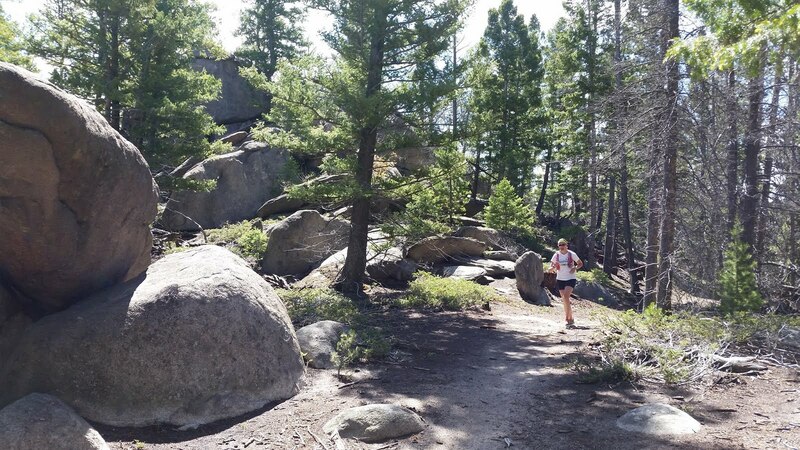 Farther south, Montana Trail Crew's own Nicole Hunt led Craig and Lee Macholz on a 14-mile loop at Homestake Pass on Sunday. Their route took them south of Interstate 90 through the Boulder Batholith formation on part of the Wulfman's CDT 14K course, which is among the races being held this weekend. 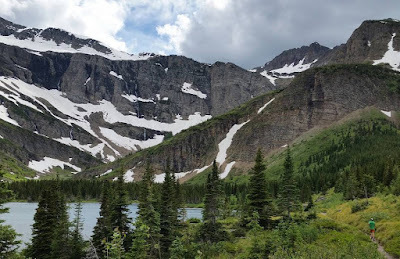 To the north, Jesse and Kailee Carnes ran to Glacier National Park's Bullhead Lake, about four miles west of the Swiftcurrent Motor Inn. All 50 miles of Going-to-the-Sun Road opened Thursday evening, too, making it easier to reach the east side park. You may still want to check the road status for temporary closures. 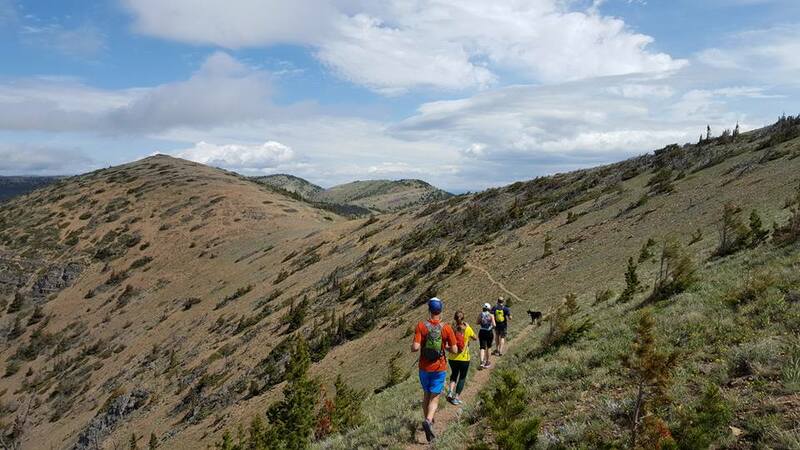 Back in Missoula, Dana Bandy and I ran the Beargrass Highway trail at Montana Snowbowl on Saturday. There, we found early beargrass blooms - and, by Dana's count, 101 downed trees. Good thing Snowbowl's summer season doesn't officially begin until June 25. I continued up to Point Six for a 20-mile day, finding only one large snowdrift over the road to the top, while Dana turned around early for 14 miles. If you're not racing this weekend, enjoy the trails - and share your Trail Shots on the MTC Facebook page. Trail Work Party this Wednesday!